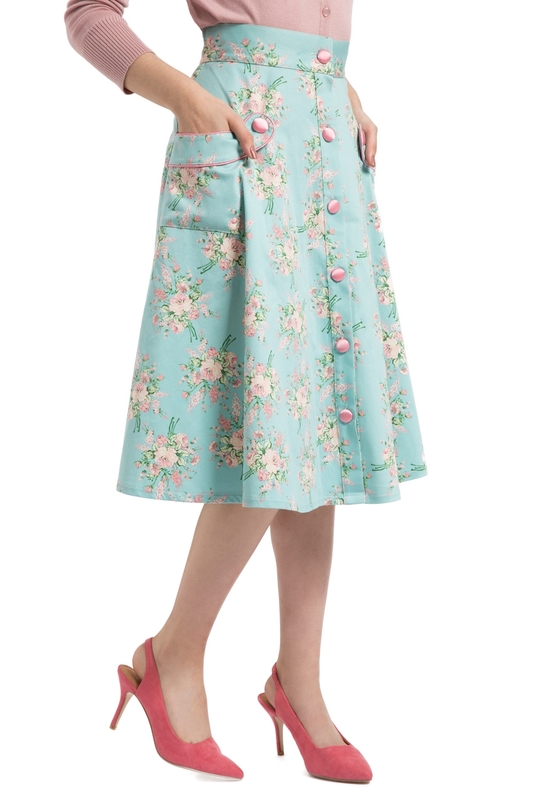 Our soft and sophisticated Kendall skirt is perfect for summer with its light colours, in-house floral design and gentle flare. 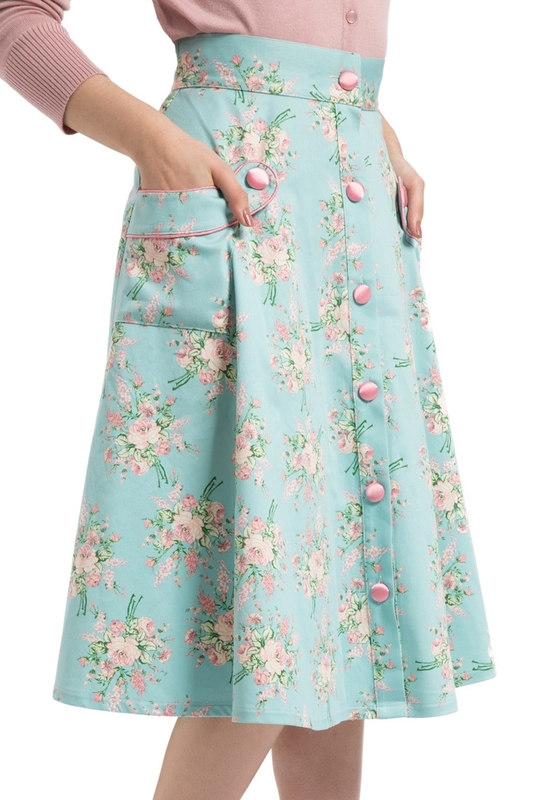 Features front pockets and buttoned front. A perfect match with one of our cardigans or tops!